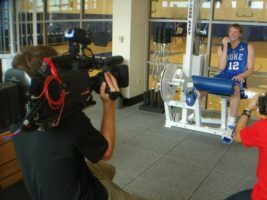 Nick Modisett shooting Kyle Singler...with a video camera of course! 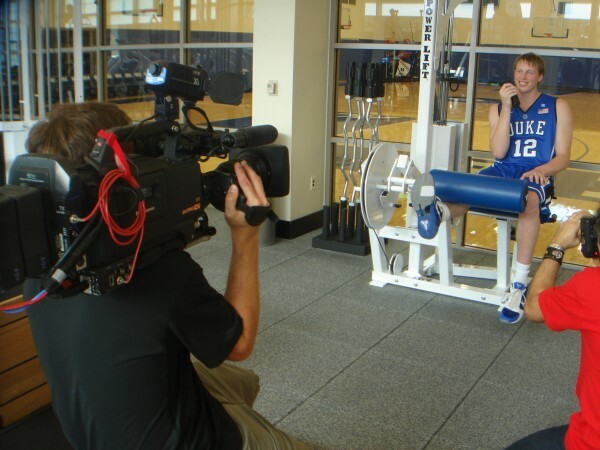 It is tough being a Tar Heel fan this basketball season, especially when Duke is poised to kill it this year. 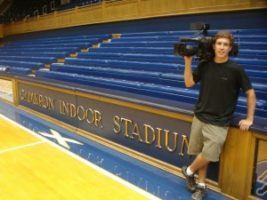 So while no one is talking about UNC, Duke is getting a lot of coverage. The theme of the issue was sports stars being very vocal and loud…duh. We shot behind the scenes footage on the Panasonic HDX 900 to supplement the photo spread in the magazine. It was a great shoot day. Maybe UNC can make a run and GTT can be in the Dean Dome in Chapel Hill instead of in enemy territory over there in Durham. Go Heels!